when we connected the circuit. of the things we did! We read the story "The Journey". It is about a family who had to leave their home because of a war. They became refugees trying to get to another country so that they could be safe. We discovered how difficult it is for refugees to escape their country and to make the hard journey. They must feel very frightened. We felt very sad after reading the story. Article 22 - If a child is a refugee or seeking refuge, governments must make sure that they have the same rights as any other child. 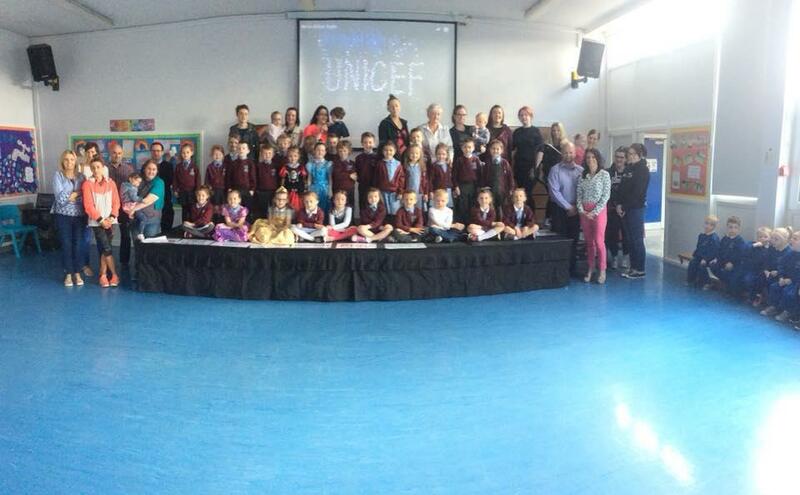 We went on our Shared Education outing with Kilrea Primary School. Liz O'Connor was our guide and she helped us to explore Garagh Forest. We looked at all the different plants, trees and flowers. We listened to the songs of all the birds. Then we got to have a mini-beast hunt and build dens. We even found a tree frog! It was a great day of exploring and fun with our friends from Kilrea Primary School. Article 15 - Every child has the right to meet with other children and to join groups and organisations. We read a story on the Newsdesk about people who had to leave their homes in Syria because of a war. They had to make the long journey across the sea to get to Europe. Some of them died along the way. We felt very sad that this is happening to many people in the world. We left a comment about the story for other people to see. There was a vote to choose what we would do to welcome refugees to our town. We voted for - Make friends with refugee children who come to your school. Year 1 are having a Bake Sale to raise money for the refugees so we will bring in money to buy buns and this will go to the refugees. We hope this will help them. Article 17 - Every child has the right to reliable information from the media. We learnt how Paddingtion had to leave Peru because of an earthquake. He came to London alone on a boat. He had nowhere to go and no-one to look after him. The Brown family welcomed him in to their home. We talked about how we would welcome Paddington (or any refugees) to our community in Kilrea. We are learning more and more about the Rights of a Child. We drew a picture to illustrate one of the rights that we know. Well done to all our boys who play football for their teams. The Pearses won a blitz and they got medals. to help them if they get sick. We want to help people in need. Spring is here and it is time for us to plant our seeds. We planted sunflowers and Coriander. achieving Pupils of the Month for April! Article 31 - Every child has the right to relax, play and take part in a wide range of cultural and artistic activities. in developing countries get paid enough for their products. to food, health and education as we do. achieving Pupils of the Month for March. Well done to Lucy, Victor, Caitlin and Lucy on achieving Pupils of the Month for February! A visit from Cancer Focus encouraged us to eat healthy and stay active. Just like Genevieve! Article 24 - Every child has the right to the best possible health. Well done to Lucy, Lucy and Kaci on achieving Pupils of the Month for January. Well done girls! 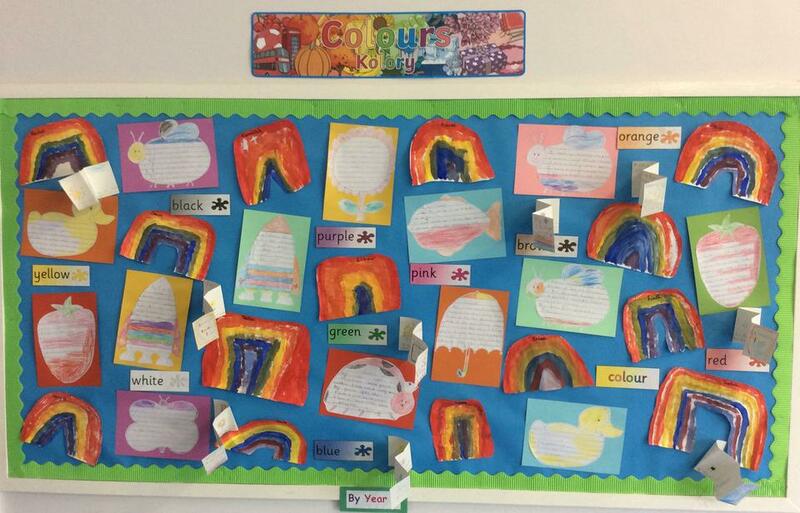 Have a look at some of the activities we did in class for our "Toys" topic. 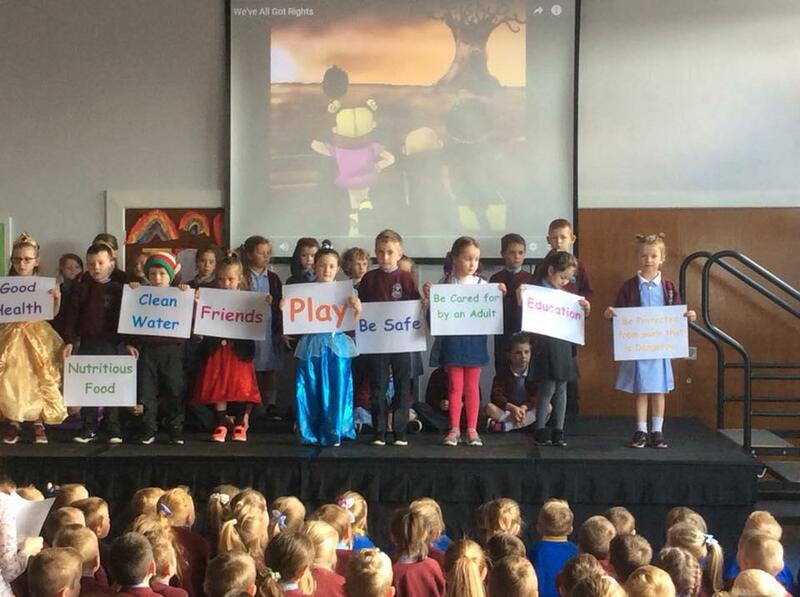 We performed an assembly to tell the rest of the school how some of the children in Fairytales did not get their rights! 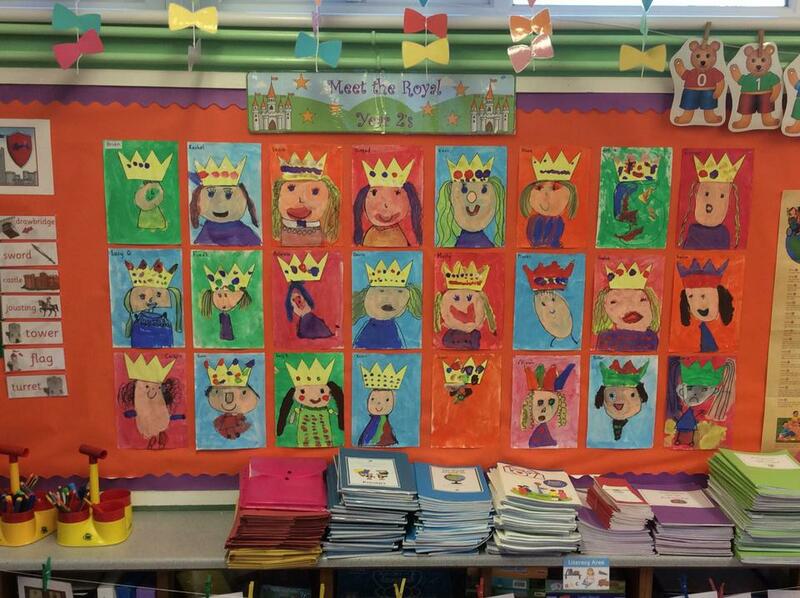 We were able to identify the rights within many of our traditional fairytales. 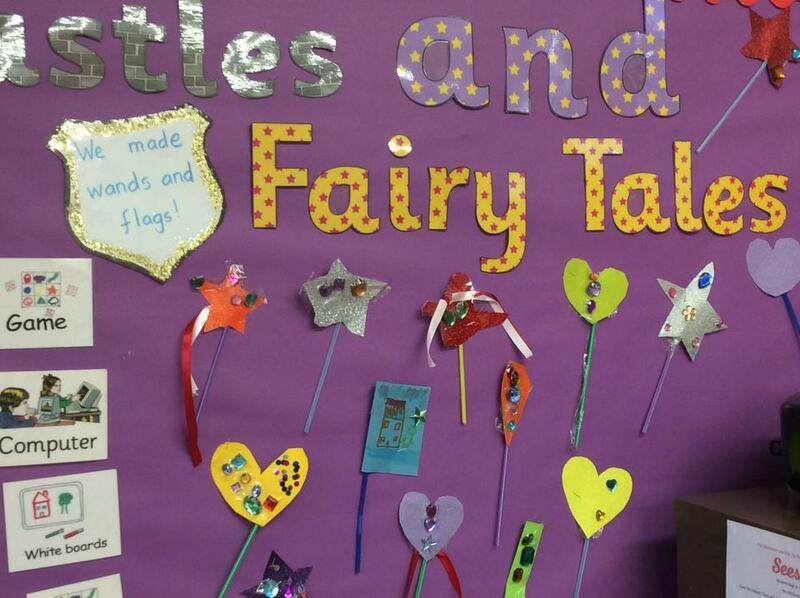 We discussed tales such as Hansel and Gretal and how children have the right to be cared for by an adult (Article 7). 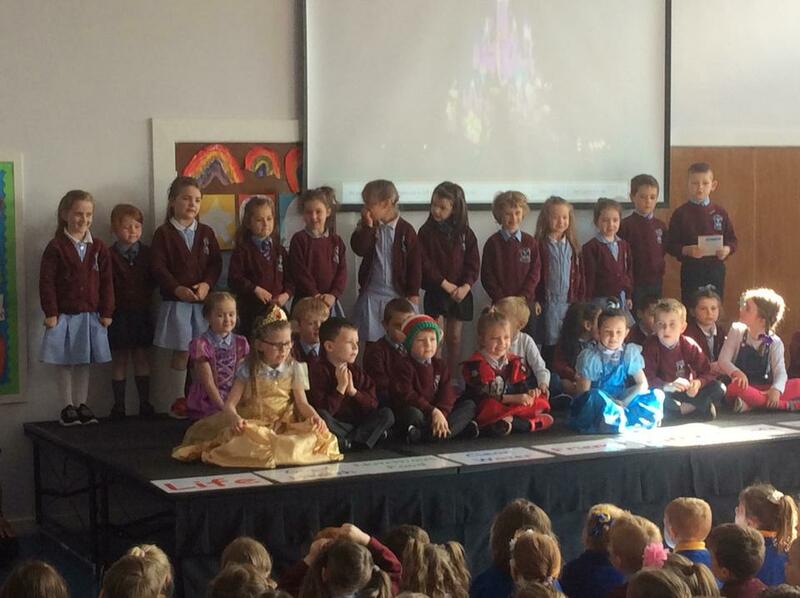 Cinderella told us about Article 6, how every child has the right to life as well as to develop to their full potential. Snow White reminded us of Article 19, how governments must do all they can to ensure that children are protected from all forms of violence, abuse, neglect and bad treatment by their parents or anyone else who looks after them. Poor Snow White had a wicked step mother who deprived her of this right. We raised money for our local charities. 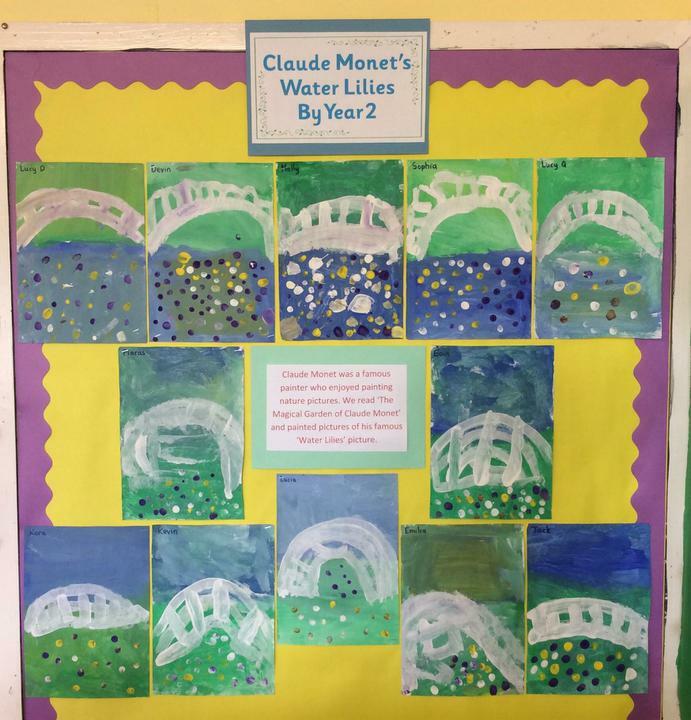 on achieving Pupils of the Month for November. 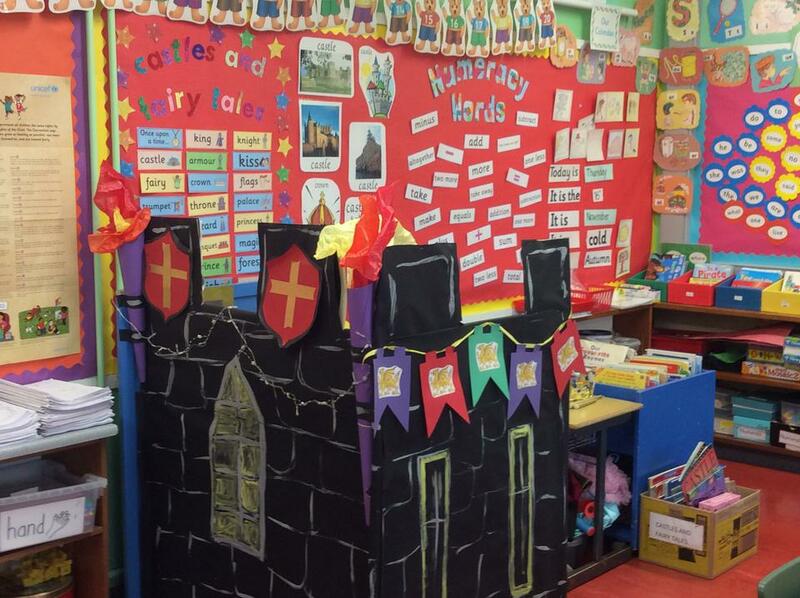 Have a look at our Castles and Fairy Tales displays. Pupil of the Month for October. Pupil of the Month for September. Colm came to visit us and told us all about his job. learn a lot from what we see.